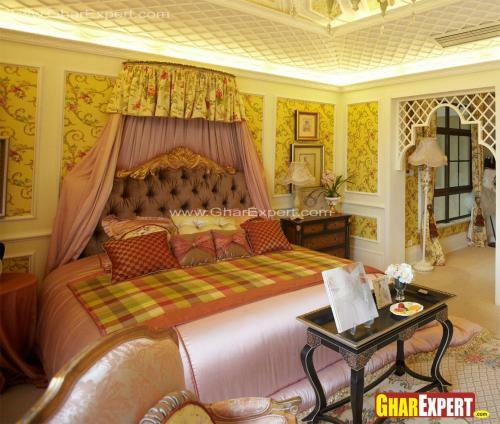 Master bedroom is designed for the head of the family; usually for husband and wife. 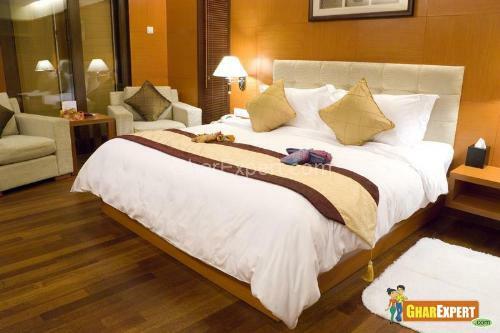 The bedroom is mainly equipped with a queen-size bed or king size bed and dresser. 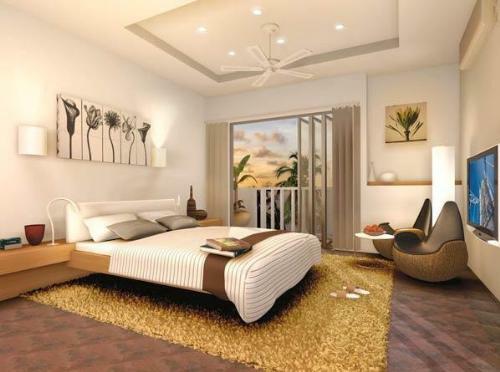 However, today a master bedroom has been changed into a room which provides the greatest calm and richness. Master bedroom includes a dressing table, closet, mirrors, wet bars, combined bathroom and elegant furniture. The furniture of master bedroom comes in a variety of styles such as traditional and contemporary. 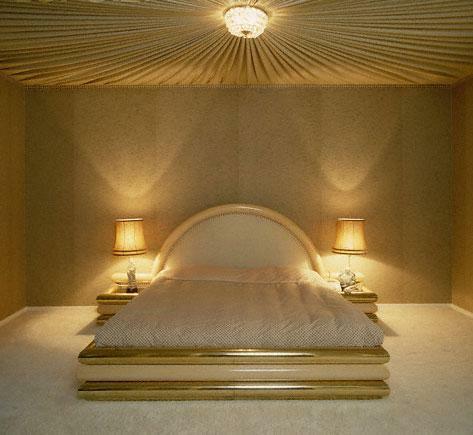 It has great difference with other bedrooms as it is made of solid wood and metals. The room may be decorated in many ways. The following are some of the approaches for ornamentation of the room. Colors give character and subtle glow to the room. Soothing and refreshing colors like green, ivory and slate blue for master bedroom reflect light without shadow. Decorating walls is not simply about applying colors but creating visual effects to the whole of the room also. Light color in master bedroom gives relaxing atmosphere. 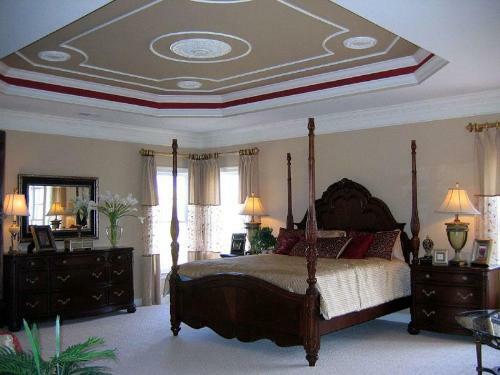 The color of wall and ceiling should match with the theme of the room so that it may add ornamental feels to the room. Select any furniture for master bedroom but it does not create a clutter inside the room. Also make sure that the furniture will blend well with the paint colors of the room. Choose stylish and different designs of the furniture for master bedroom as compared to other bedroom. It is an essential piece of furniture for master bedroom and is used to adorn. The mirror on dressing table is used for decorative purposes and makes room look large. It’s also used as a storage purposes. It should be to the left of the bed in the room. It is an important piece of furniture used to store things in master bedroom. 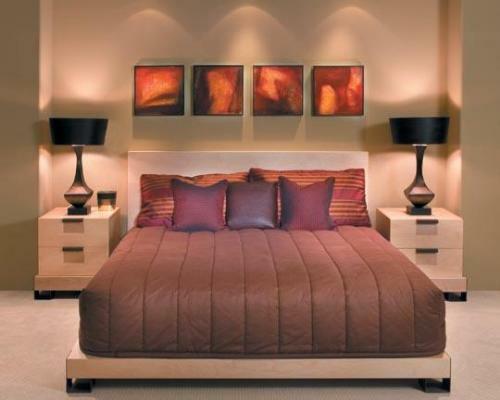 Lighting should be designed carefully in master bedroom. It is not too harsh or too calm in master bedroom. A master bedroom usually has a nightstand with one or two drawers placed at the side of the bed. Nightstands are essential for spreading a warm glow into the room. They not only cheer up but add to the furnishing also. They must match with the entire design/decor of the room. Chandeliers are a wonderful lighting choice and add a romantic theme in master bedroom. Different types of floorings such as hardwood flooring; wooden laminate flooring can be used in master bedroom. You can give warm and cozy feel to your master bedroom by applying wooden laminate flooring. Periodical polishing on hardwood flooring keep it strong. Carpet is the most common choice for floors to create luxurious feel in bedroom. Nothing adds warmth and luxury to the room the way carpets do. Rugs are also used in master bedroom to give decorative touch to the room. Windows give finishing touch to the bedroom. Cover windows with curtains so that you may open and close them anytime. They maintain privacy to the space whenever you need. There is a wide variety of window treatments. You can choose the best ones that match with the atmosphere of the room. You can use valances, drapers for windows as they are of light weight. You can even use wooden blinds as they add luxurious feel to the room. It is better to have large window in bedroom as it gives natural light in the room. Flowers spread fragrance in master bedroom. They refresh and spruce up the place. You can decorate master bedroom with flowers, nice photos and modern works of art on the wall. You can put flowers on dresser or on nightstand. Fireplace is another decorative addition to the bedroom and creates a romantic atmosphere in the room. A beautiful fireplace gives a royal look to the bedroom. It gives warm and romantic feeling to the room. It makes the place functional but beautiful as well.